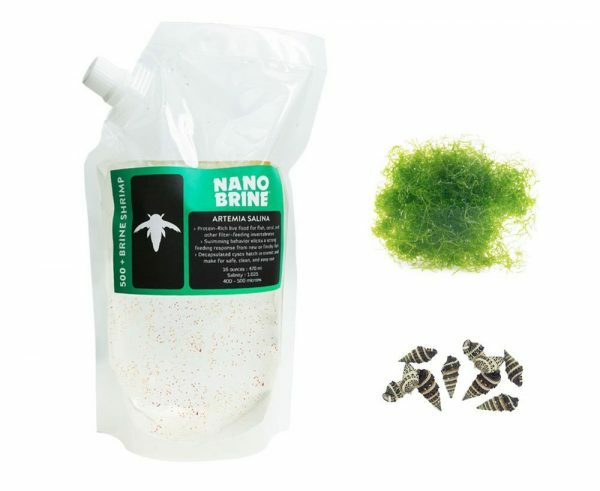 Nano Brine Live Baby Artemia elicit a strong feeding response and make an excellent live food treat for your fish and coral, you’ll love watching your fish chase them down. 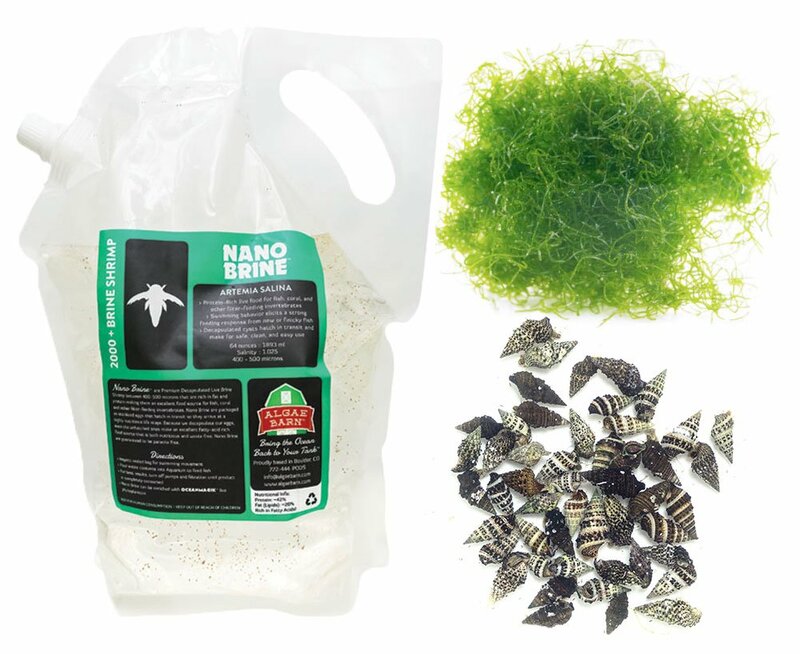 ORA Captive Bred Cerith Snails make hardy and effective aquarium cleaners to help start or replenish your clean up crew. 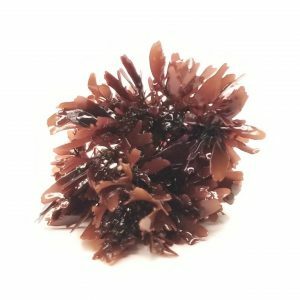 Clean Chaeto is a parasite and hitchhiker free macroalgae that grows quickly; cleaning your tank by consuming nitrates and phosphates for easy nutrient export. Earn up to 300 PodPoints. 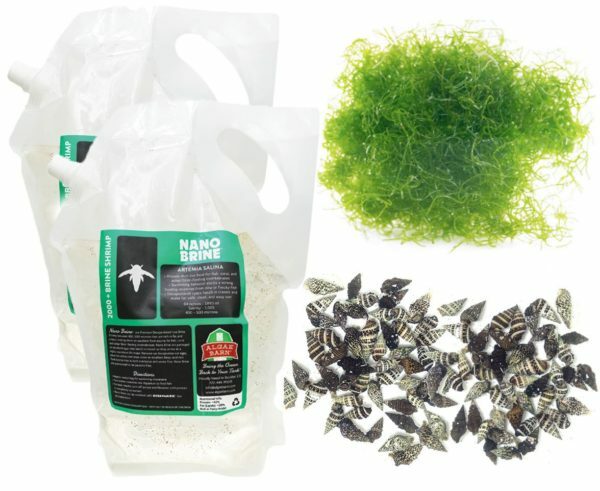 Product Description: Nano Brine are premium decapsulated Live Brine Shrimp between 400-500 microns that are rich in fat and protein making them an excellent food source for fish, coral, and other filter-feeding invertebrates (like Jellyfish). 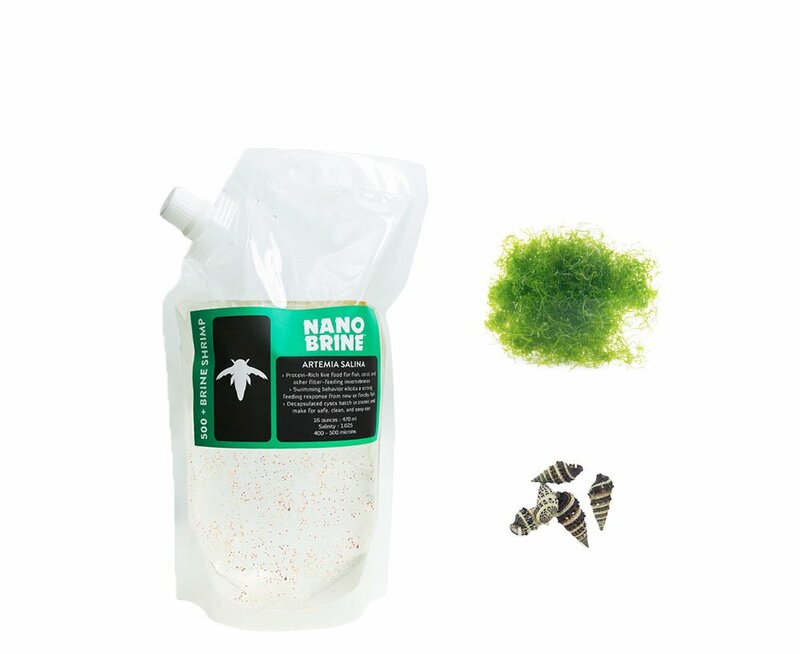 Nano Brine are packaged as sterilized eggs that hatch in transit so they arrive at a highly nutritious life stage. Because we decapsulate our eggs, even the unhatched ones makes an excellent fatty-acid rich food source that is both nutritious and waste free. 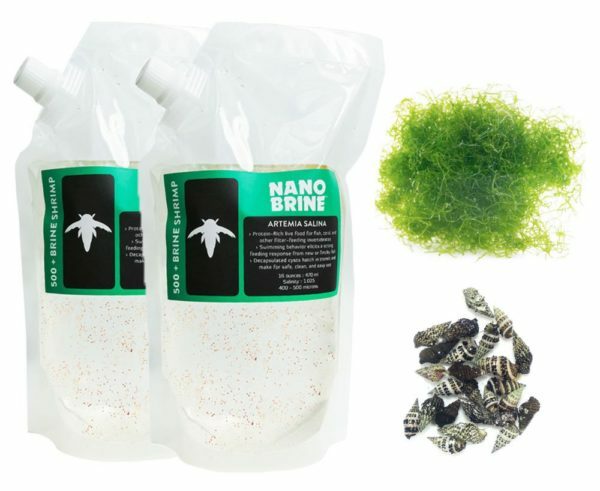 Nano brine are guaranteed to be parasite free. Directions: -Inspect sealed bag for swimming movement to be sure the eggs hatched successfully in transit -Pour entire contents into Aquarium to feed fish -For best results, turn off pumps and filtration until product is completely consumed -Nano Brine can be enriched with OceanMagik live phytoplankton, just add a few drops into the package container as a nutritious food source for the brine shrimp. 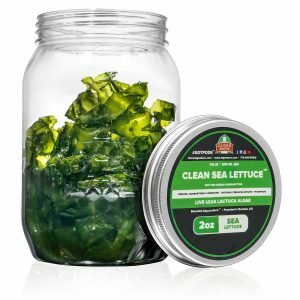 Good for overall aquarium cleaning. 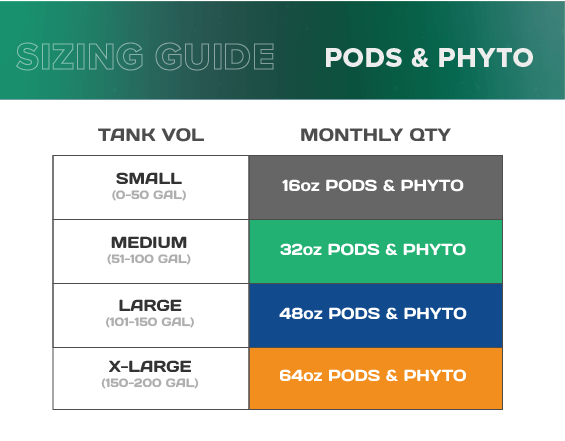 Product Description: The cerith snail is a hardy little clean-up animal that is a great addition to any tank. 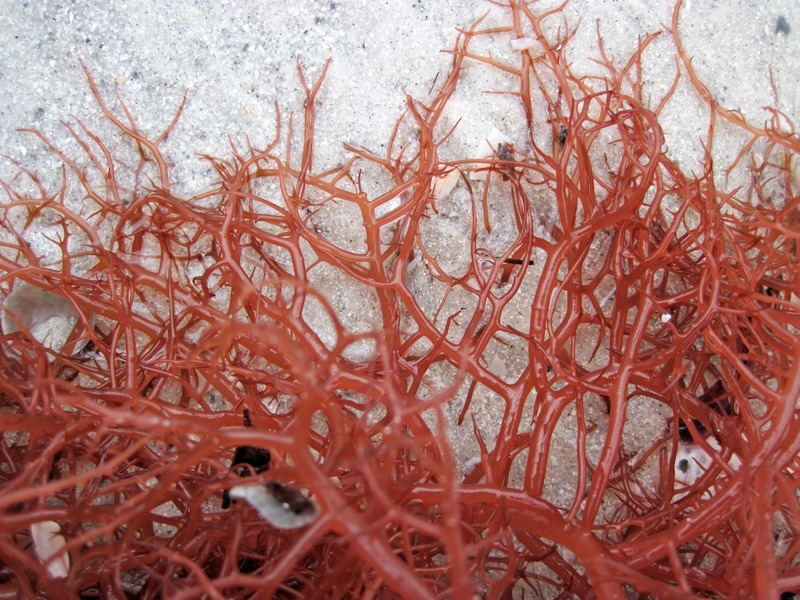 This omnivore eats a variety of foods ranging from detritus to hair algae. 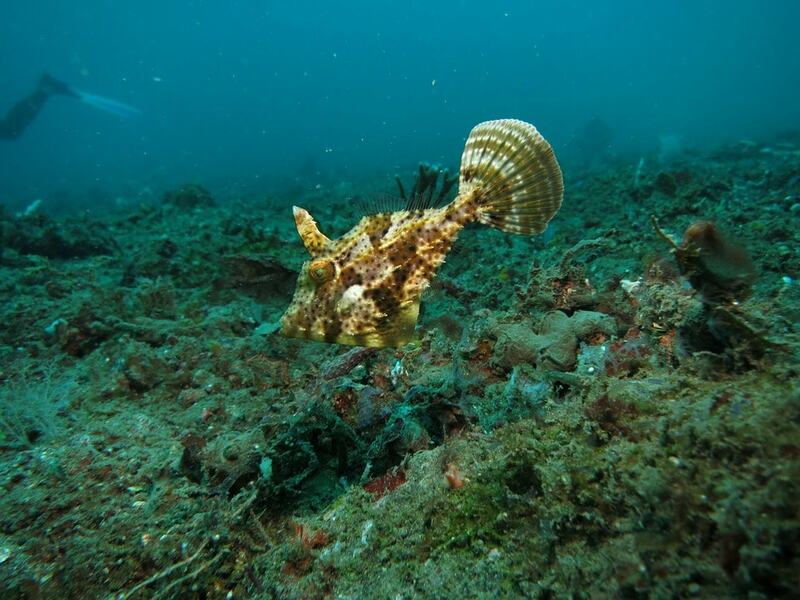 It prefers to forage at night, so it may not always be seen during the daylight hours. It is a burrower, turning over the substrate well and promoting a clean and highly oxygenated sand bed. 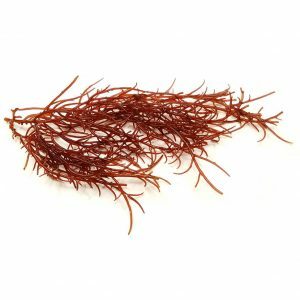 It has the highly desirable habit of clearing algae from the tank panels just below the substrate surface. Remaining at a fairly small size, it can get into tighter areas of the rockwork that other snails cannot. It is known for being relatively long-lived in captivity. This was an excellent pack. The Chaeato said extra small but it was generous. Everything was packaged so well and arrived live. 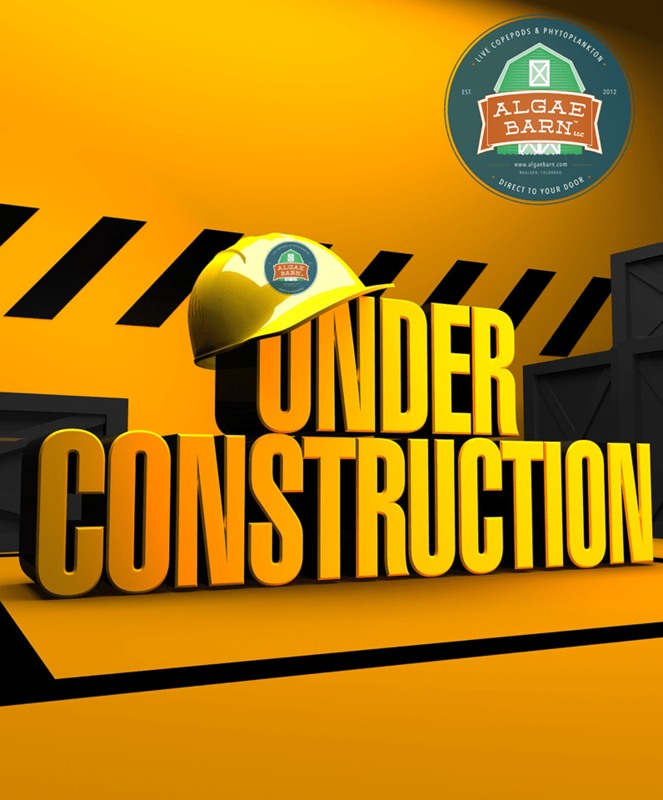 Algae Barn has knock your socks off packaging, shipping and customer service!